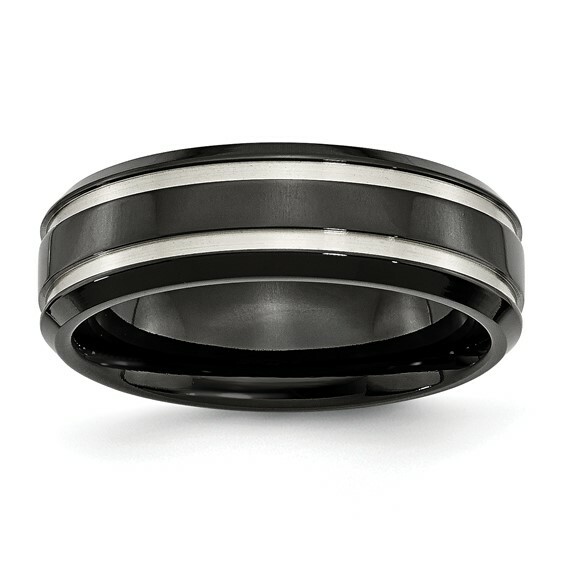 Titanium ring has black plating and a polished domed center. Two grooves. Width: 7mm. We use PVD [physical vapor deposition] technology to ensure the strongest mechanical bond between the coating and the titanium metal. The coating is composed of Titanium Carbide [TiC]. Comfort fit, made of commercially pure titanium, grade 4 [CP 4] in China.